The Regional Transportation Commission of Southern Nevada (RTC) has demonstrated how new technologies can improve safety and congestion at road construction sites at its ‘Work Zone of the Future’ showcase event in Las Vegas. In an ongoing effort to reduce the traffic congestion caused by road construction in the region, RTC is testing a first-of-its kind pilot program to find, inspect and mitigate work zones in real time. 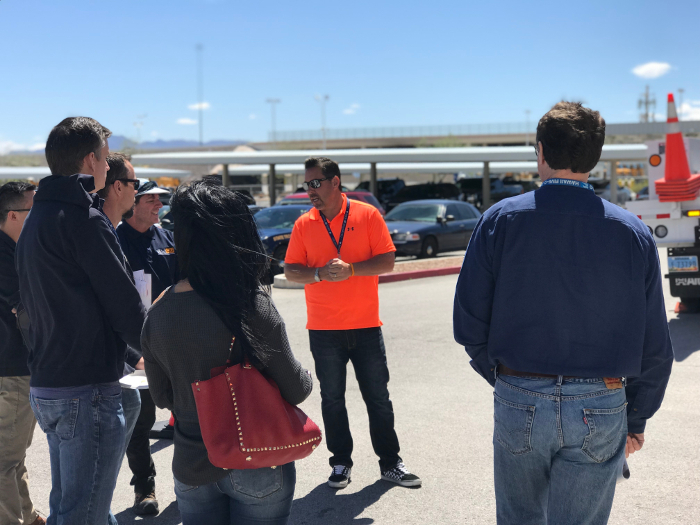 As part of the USA’s National Work Zone Awareness Week, which is promoted by the Federal Highway Administration (FHWA) and the American Traffic Safety Services Association (ATSSA), three technologies were demonstrated at the special event at the Southern Nevada Traffic Management Center. A mock construction zone setup showed how innovative technologies are helping engineers and motorists stay ahead of work zones and manage them in real time. 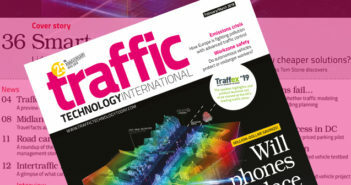 The demonstration included traffic cones, barrels, arrow boards, construction and inspection vehicles, all fitted with new technologies that can communicate with passing vehicles and traffic engineers. 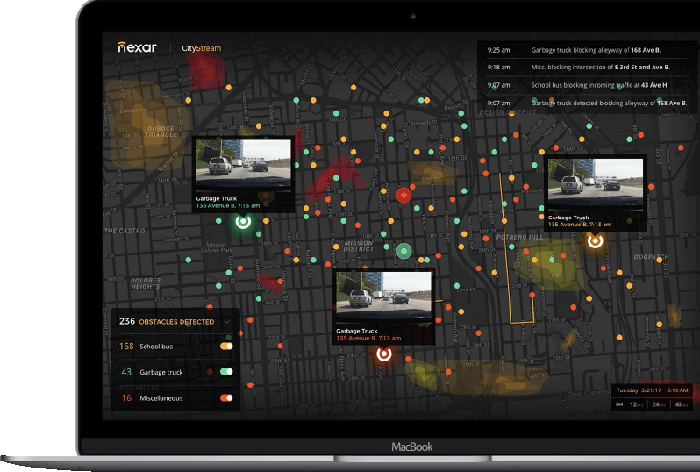 • Nexar’s CityStream – a groundbreaking platform that uses the company’s connected vehicle network to log thousands of daily updates on the movements of hundreds of traffic cones and their effect on traffic in a three square mile pilot area in downtown Las Vegas. The technology will help measure the effects of cones and lane closures on traffic, automate the flow of data into RTC databases, help determine permit compliance with lane closures, streamline construction permit management, and provide more accurate public information (above). 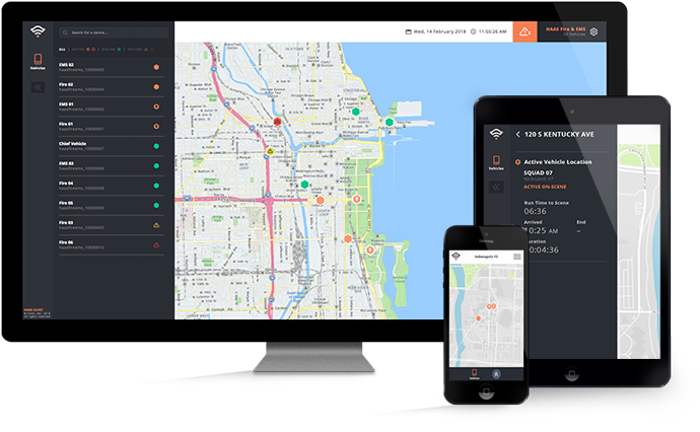 • iCone and Waze – a total of 21 state-of-the-art iCone traffic control devices are broadcasting their locations from inside the work zone to the traveling public through a partnership with the Waze traffic app (above). 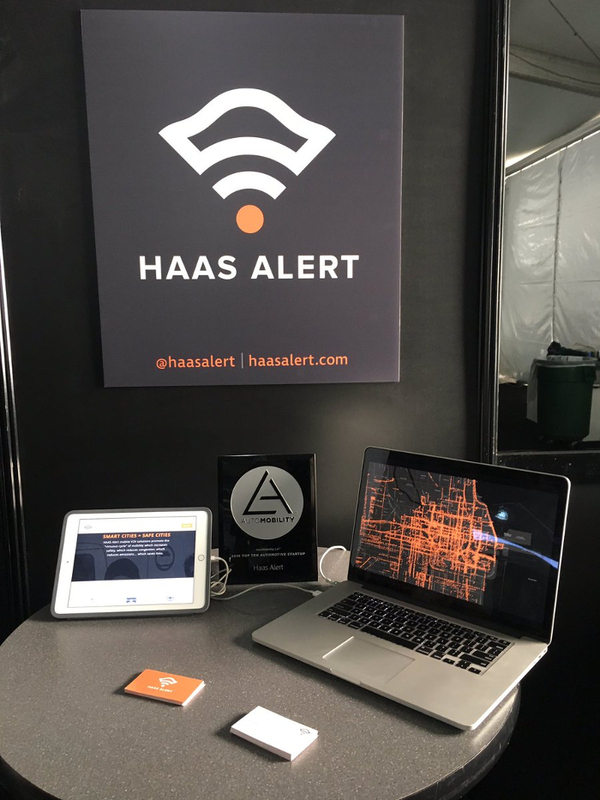 • HAAS Alert – state-of-the-art devices being tested on RTC inspection and traffic technician vehicles that broadcast to Waze the location of construction vehicles, equipment and workers in active construction zones to alert traffic engineers and the traveling public of work zones along a route (above). 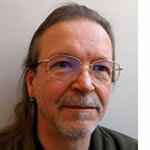 Demonstrations of the three technologies were featured in real-time on the Waycare incident prediction platform and the Waze crowd-sourced navigation app.